This blog is for all techno lovers,you will find information about various fields or say various technologies.I will also try to spread social awareness about various topics that can affect YOU. :) you can visit my other blog related to ANDROID on www.droidgyaan.blogspot.com. you can also visit this site by writing bit.ly/geektechno in your address bar. SOUMIK SHAH. Powered by Blogger. Why do you need COMPUTER SECURITY? How to find creation date of your Gmail account? You might think for what reason would we require your Gmail account creation date, but you would thank me once you forget your Gmail password. when you forget your password and can't even remember security question you are left with this option, it asks you creation date of your gmail account. so here are the steps to know your gmail creation date in a easy manner. This is one nice method to know creation date of your account. Gmail team sends you a welcome mail during creation of your account so you can click on oldest post on your Gmail account and get that mail. After opening it you will find its creation date. so keep that in mind. 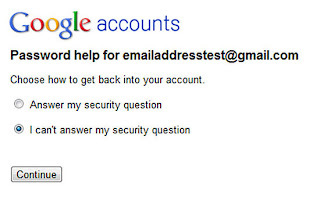 might be helpful if your account is hacked and security question is not quite helpful. This method is little complicated then previous one but will help you in case you have deleted that mail accidently before. Creation year of my account is 2007, whats yours?